A locally based company in Porthleven. Flexi-Hex is a product born out of necessity. With so much emphasis on trying to cut down the global use of single-use plastics, a former surfer and designer Sam Boex, wanted to make a difference. He noticed that surfboards were being wrapped in bubble wrap before being shipped across the world. Single-use plastics really go against the ethos of surf culture all around the world so he designed a reusable and environmentally friendly type of packaging for boards. 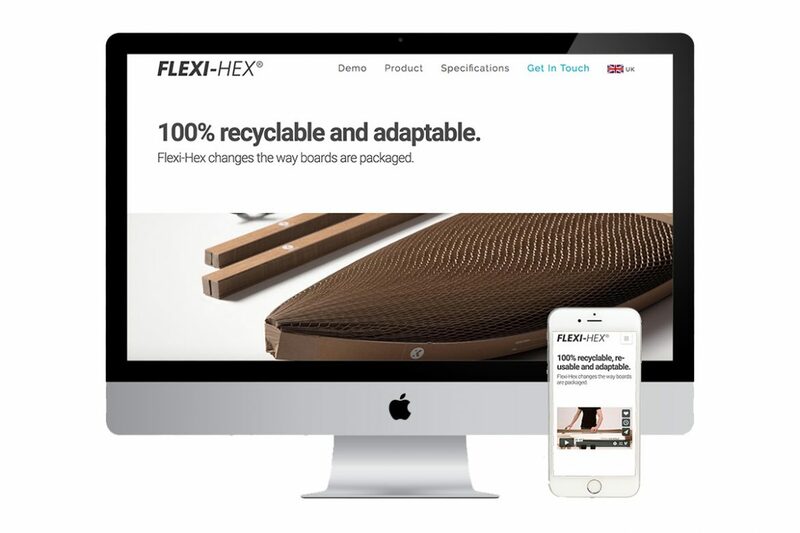 Within the first year, Flexi-Hex became a global brand and now has distributors across all the major continents. It was also nominated for a Cornwall Business award. As Sam is part of the Boex Design company, he had a very defined idea of what the website was to look like and that design evolved throughout the process. There will be an expansion to the product range in December 2018 and further development of the website will be required.